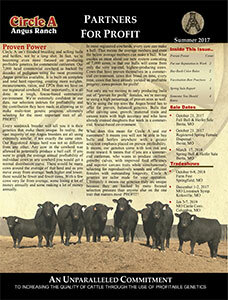 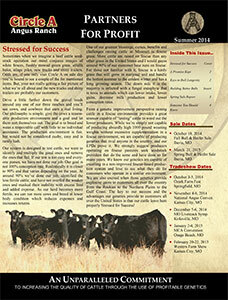 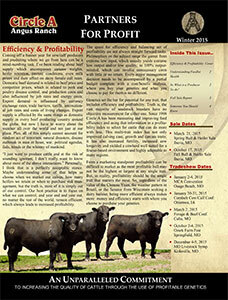 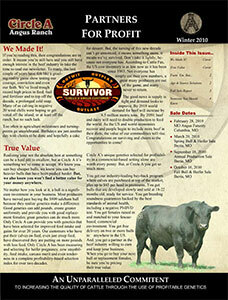 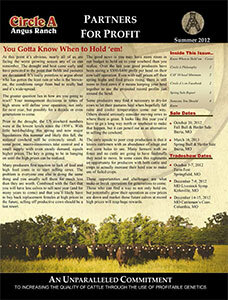 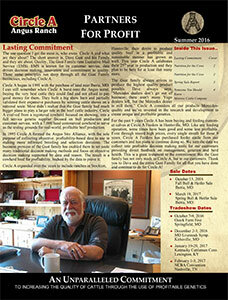 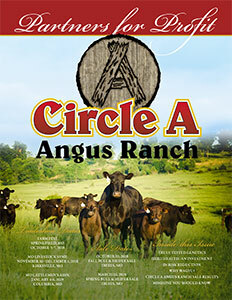 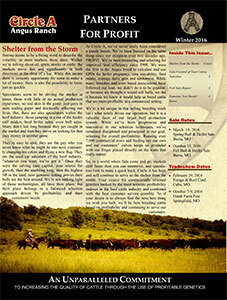 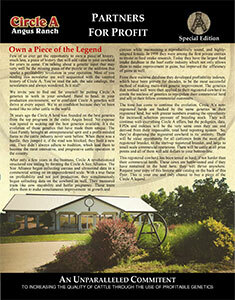 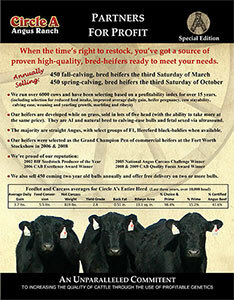 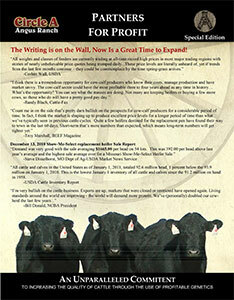 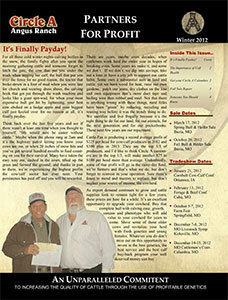 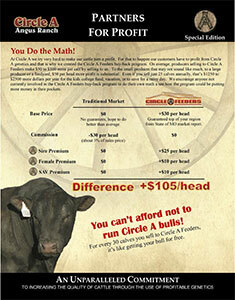 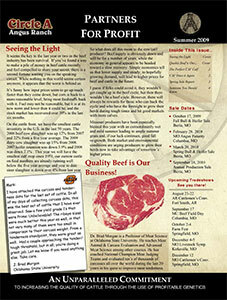 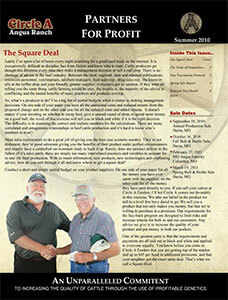 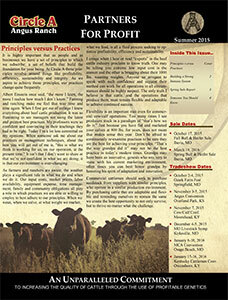 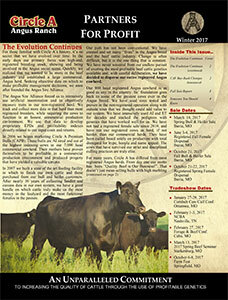 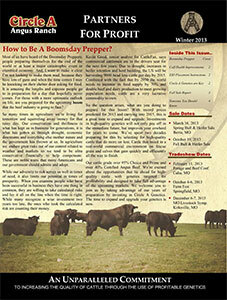 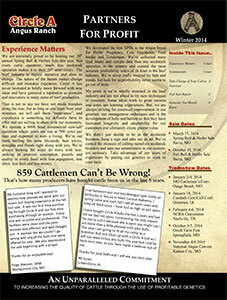 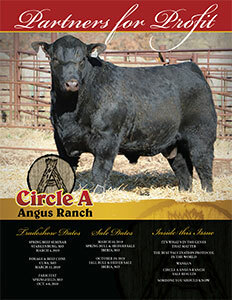 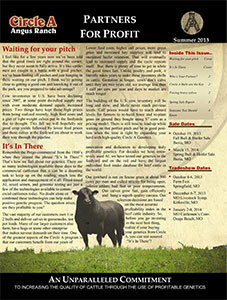 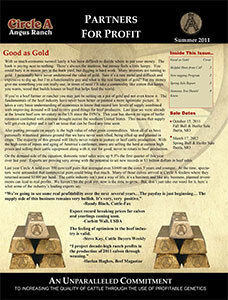 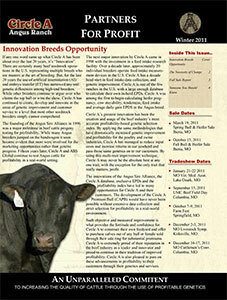 We distribute our Circle A Angus Ranch Partners For Profits newsletters twice annually. 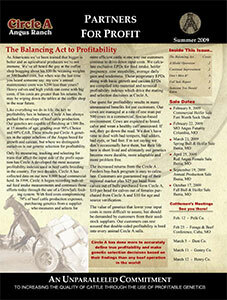 The newsletters are designed to inform readers of industry happenings, advice on profitable management techniques, provide direction and insight to Circle A’s offerings and services and help our Circle A customers generate higher profits. 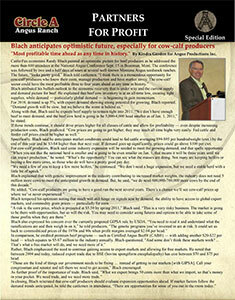 Catch up on our past newsletters below, and make sure you don’t miss out by signing up to receive Partners For Profits, today! 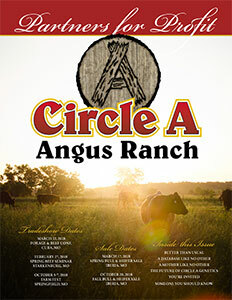 Simply provide us your mailing information on the Contact Circle A tab.